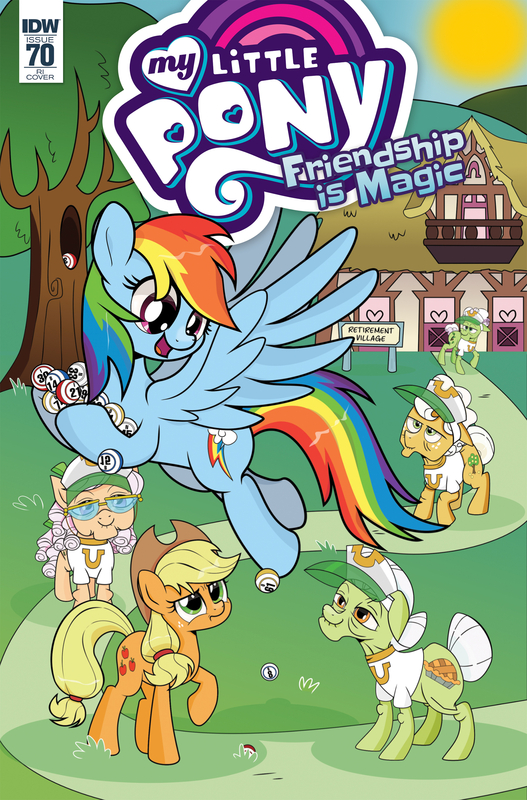 Rainbow Dash decides the elderly ponies of the retirement village could use some more excitement in their lives. So she invents EXTREME BINGO! What could go wrong? *Retailers: See your order form for incentive information. A touching tale of crossing the generational divide!